Butler’s beloved bulldogs got their final resting place on Friday, a granite, brick, and bronze doghouse outside Hinkle Fieldhouse where the remains of Blue I, Blue II, and all future mascots will be laid to rest. Michael Kaltenmark said the bulldog memorial is "a timeless relic. 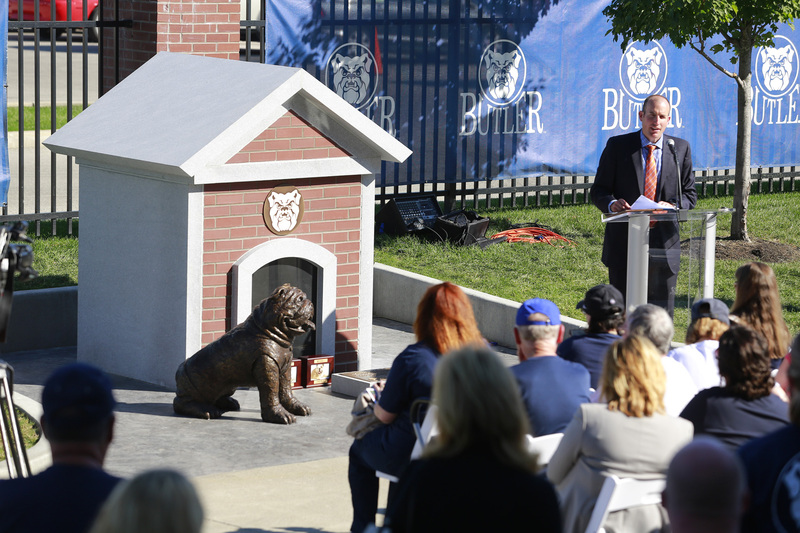 The University dedicated the dog house/columbarium (urn storage) and bronze bulldog sculpture with a ceremony that honored the dogs and blessed the current mascot, Trip. “By working in cooperation with some very important people, what I believe we have constructed here is a timeless relic, built to last, which serves as a point of pride and appropriate tribute to the lovable Butler Bulldog,” said Michael Kaltenmark, Director of External Relations and the owner of Blue II and Trip. “The Class of 2013 hopes this memorial stands as a testament to the determination, loyalty, and pride of all Butler Bulldogs—four-footed and two-footed—for many years to come,” he said. Butler President James M. Danko said the bulldogs are more than just mascots—they’re family dogs that comfort our students when they’re homesick, celebrate birthdays across our community, play starring roles in videos and children’s books, and help us cheer on our teams. Blue I, who died in May, Blue II, who died in 2013, and Trip all have served as a unifying force across our campus and our city, he said. Everyone, Butler alum or not, loves our Butler bulldogs. Butler University today announced it has retained local real estate consultants CBRE to find high-quality retail tenants to fill 15,000 square feet of space in its new 1,038-space campus parking facility, which will be completed in August 2015. The facility will be built on an existing parking lot between Clowes Memorial Hall and Lake Road on Sunset Avenue. CBRE’s retail leasing efforts will be led by Donna Hovey, Vice President of Retail. Hovey is an experienced retail broker whose practice includes Landlord and Tenant representation. Clients have included Marsh Supermarkets, Regions Bank, Starbucks, and Exxon Mobil. CBRE’s Public Institutions and Education group will be represented locally by Gordon Hendry, former Director of Economic Development for the City of Indianapolis. The group has assisted numerous states, cities, counties, and universities, including at present the states of New York, Maryland, and Florida; cities of Indianapolis; Bloomington, Indiana; Ann Arbor, Michigan, and Ft. Lauderdale, Florida; and George Washington University and The Ohio State University. Butler University will unveil a new memorial to its bulldog mascots at the Butler Bowl entrance on Friday, September 26, at 4:00 p.m., as part of Homecoming. 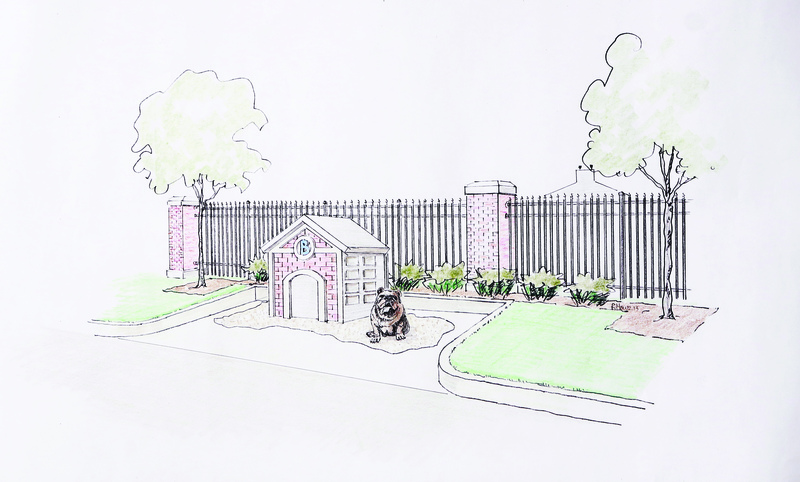 -A custom dog house/columbarium (urn storage) designed and constructed by Millennium Monument Company with a granite and brick façade to match Hinkle Fieldhouse. 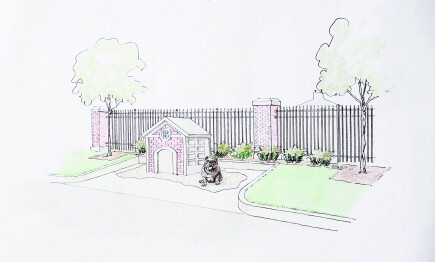 Each dog's remains will be stored inside niches contained inside the dog house columbarium. Bronze plaques on the side of the dog house will denote which dogs' remains are contained inside. -A bronze bulldog sculpture, crafted in Blue II's likeness, by artist Dale Johnson of Ohio. On the side of the doghouse will be a plaque dedicated to the bulldogs that represented Butler in years past, starting with Blue I and Blue II. The September 26 dedication ceremony also will celebrate the lives of Blue I and Blue II. "At Butler, the likes of Butler Blue I, II, III, and the bulldogs who have gone before them, are considered to be more than just mascots,” said Michael Kaltenmark, Butler’s Director of External Relations and the owner of Blue III. “Each of our English bulldogs has come to be considered a beloved member of the Butler family during their tenure. Now through the creation of this memorial, we can both honor and always remember their tireless work to proudly represent the University." Blue I, who died in May at age 13, began the live mascot program in 2000. She was owned by Kelli Walker, who worked in Butler’s Office of Alumni and Parent Programs from 1998–2004. Blue II, an American Kennel Club-registered dog, became known as “America’s Dog” in 2010 and 2011 when the Butler men’s basketball team played for the NCAA national championship. Blue appeared on the floor of every Butler men’s basketball home game, select away games, and the 2010 and 2011 Final Four games. 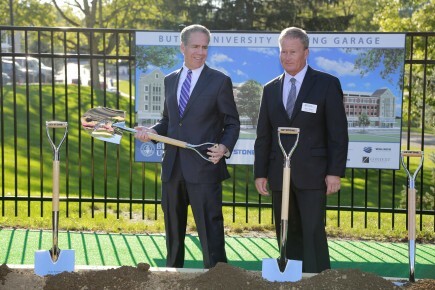 Butler University broke ground Thursday, September 18, on a 1,038-space multi-use parking facility located on the lot behind the Howard L. Schrott Center for the Arts along Sunset Avenue. Construction of the five-story parking structure, which is anticipated to open in August 2015, will begin this fall. President James M. Danko and Board of Trustees Chair Keith Burks at the September 18 groundbreaking. "It's another great day to be a Bulldog," Burks said. The multi-use facility will include approximately 15,000 square feet of commercial and office space on the ground level. “This represents a transformation of this area of midtown Indy,” Butler President James M. Danko said at an afternoon groundbreaking ceremony attended by trustees, faculty, staff, alumni, and neighbors. The parking facility will serve the needs of faculty, staff, and commuter students, as well as event parking demand for Hinkle Fieldhouse, Clowes Memorial Hall, and the Schrott Center. The retail space is likely to house restaurants and businesses catering to both the campus community and surrounding neighborhoods. The new multi-use parking facility has been in the planning phase for approximately 18 months. In addition to conducting a thorough parking analysis and gaining extensive input from campus stakeholders, the University consulted with the Butler-Tarkington Neighborhood Association, Midtown Indianapolis, Inc., and the City of Indianapolis. The parking garage is one of multiple projects in the works on the east side of campus. The University and City of Indianapolis began work in April on the Sunset Avenue Streetscape initiative, which will improve community safety and way-finding, while beautifying the public gateways to campus. The initial phase of the Streetscape project will primarily involve Sunset Avenue north of Hampton Drive, including a major reconfiguration of the 49th Street curve. The Board of Trustees also has approved the development of a state-of-the-art student-housing facility with approximately 600 modern, suite-style beds. 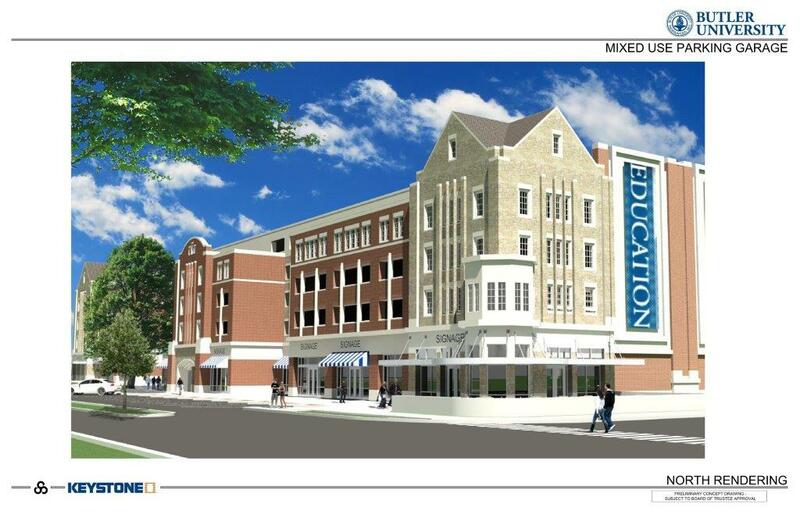 Construction of the student-housing facility is expected to begin in spring 2015 with completion in fall 2016. Butler University has devised a plan to eliminate greenhouse gases produced on the campus by 2050. The Butler University Sustainability and Climate Action plan (BUSCA) includes a variety of strategies, such as energy efficiency and conservation measures, transportation strategies, long-term plans to incorporate renewable energy, and a goal to become a “zero waste” campus. The plan also includes water saving and reuse strategies, sustainable procurement policies, and an emphasis on local food. Butler’s plan was written by the 25-member Sustainability Council, which consists of faculty, staff, and students from across the university. BUSCA comes a little more than two years after Butler University President Jim Danko kicked off Earth Week by signing the American College & University Presidents’ Climate Commitment, a pledge to create a long-range plan to eliminate the campus’ net emissions of greenhouse gases. Regular reports and assessment are planned to ensure the plan remains up-to-date and relevant. The plan can be accessed here: http://rs.acupcc.org/cap/1218/. Senior Engineering major Alyssa Setnar rode her bike to the CUE farm stand on Thursday to pick up some fresh fruit. Farm manager Tim Dorsey assists senior engineering major Alyssa Setnar, who bought raspberries and cantaloupe from the CUE farm stand. Setnar is one of about 20-40 Butler University students, faculty and community members who come to the stand to purchase local organic produce grown at the CUE farm, a sustainable agriculture project created by the Butler Center for Urban Ecology. The farm, located on campus by the intramural fields across from the Butler Prairie, was started in 2010 to promote student education and experience with organic farming practices and environmental awareness. Each Thursday afternoon from early June to late October, the farm sells its produce to the Butler and neighboring communities. 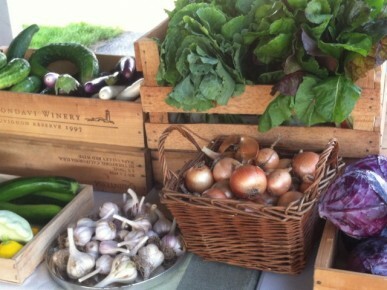 Farm Manager Tim Dorsey said the farm stand has come a long way since he took over in mid-2011. 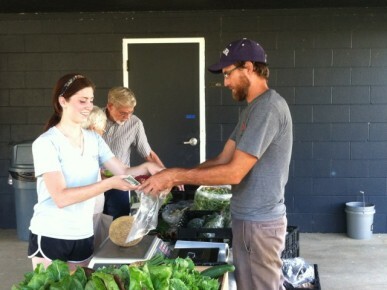 In addition to selling produce to the public, 18 community members receive packages of assorted produce through a Community-Supported Agriculture program that allows members of the community to invest in the local farm project. They pay a stipend at the beginning of the summer for a season’s worth of produce. The CUE farm uses this capital to grow a variety of produce with the help of four student interns. 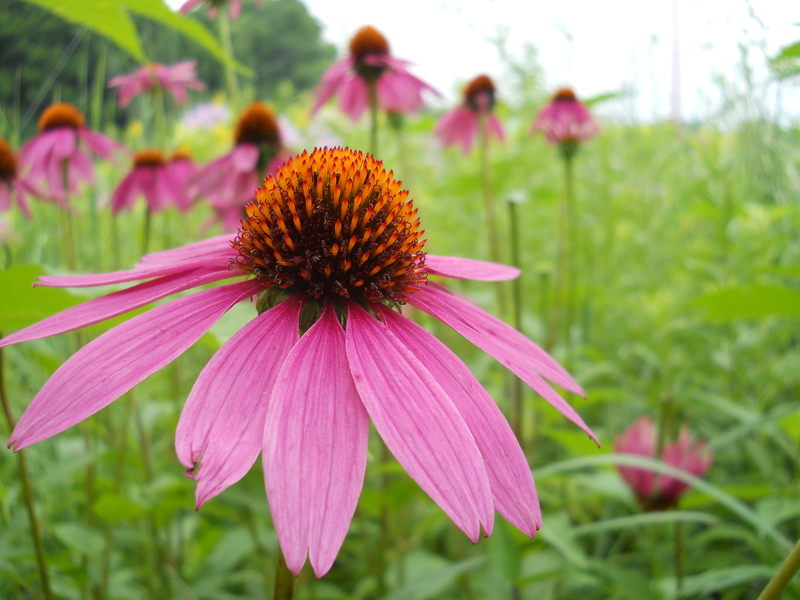 Julia Wilson, a junior double-majoring in Biology and Science, Technology and Society, joined as an intern in May and spent the summer planting seeds, harvesting produce, and pulling lots of weeds. She said her experience at the farm has given her an appreciation for small farming and the process of growing one’s own food. The CUE farm offers a wide array of fruits and vegetables, from summer favorites like raspberries, tomatoes, and melons to hearty vegetables like swiss chard, broccoli, and asparagus. More obscure produce is also available, such as curly cress, salsify and kohlrabi. Dorsey said he encourages all to come experience the offerings at the farm stand and support student education. Butler University is among the top schools in the country when it comes to enriched undergraduate offerings that lead to student success, according to U.S.News & World Report. Butler was one of only three universities in the United States recognized in five or more categories, and was recognized in more categories than all other Indiana schools combined. For the sixth consecutive year, Butler was ranked No. 2 overall among Midwest schools, behind only Creighton University. Butler was also listed among the Midwest’s “best value schools,” and led the top-10 Midwest universities in several categories, including percent of freshmen in the top quarter of their high-school class (81 percent), percent of alumni who support the university through giving (23 percent), freshman retention rate (90 percent), and percent of applicants accepted to the university (66 percent). 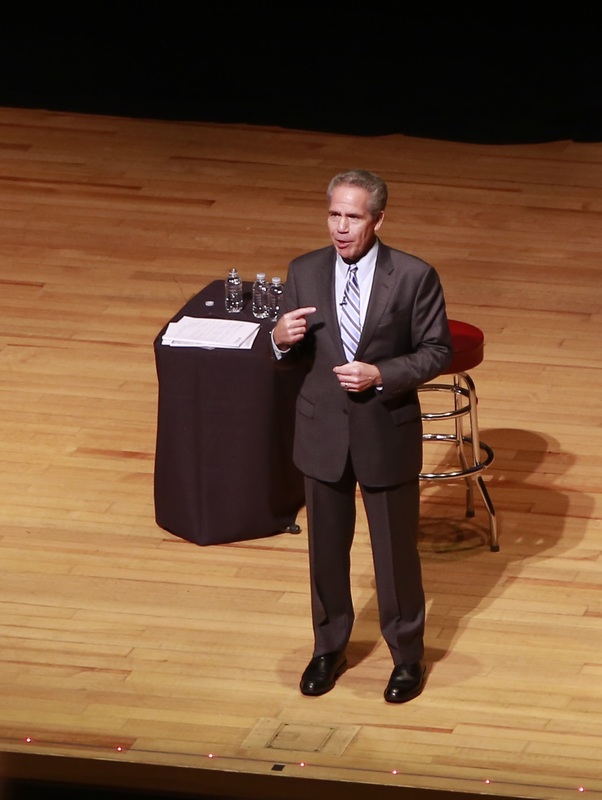 Butler President James M. Danko on Friday outlined a vision of the University that includes new academic, housing, and parking facilities; development of strong leadership and engaged employees; and a safe and secure campus environment. -A 1,038-space parking facility with first-floor retail space, located behind Clowes Memorial Hall. -A state-of-the-art, 640-bed housing facility located in the Irwin Library parking lot. -A newly configured, beautified streetscape along Sunset Avenue. In addition, Danko offered a first look at a new science building that is still in the planning stages. Danko said that, in addition to investing in its facilities, Butler needs to invest in its leaders, faculty, and staff so they can help the University navigate the complexities of the current world of higher education. Danko cited a long list of Butler’s achievements during the past year, including the growth of online classes (now nearing 50, up from zero two years ago), the renovations of Hinkle Fieldhouse and Clowes Hall, and the move to the BIG EAST conference. He said the University had a strong financial year in 2013–2014, with tuition, summer revenues, athletic revenues and the endowment up, and the discount rate down slightly. 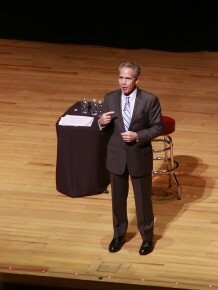 He also talked about the need to prevent sexual violence on campus. Danko said Butler is part of a coalition with Indiana, Purdue, Ball State, and Notre Dame in the area of federal regulations pertaining to campus sexual assaults. “We have to do everything we can to ensure that we’re providing the environment, that we’re providing the culture, that we’re providing everything needed to ensure students are being taken care of,” he said. A Butler Presidential Commission on sexual assaults is focusing on assessment, education, and prevention. Picture this: the illustrated history of Butler University. The campuses, the buildings, the people who made the history. The clothes, the activities, the classes, the games. 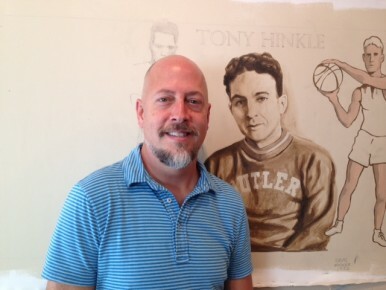 Artist Jon Edwards, and his drawing of Tony Hinkle. That’s what Indianapolis artist Jon Edwards has been drawing for the better part of a year. And when the Hinkle Fieldhouse renovations are complete in October, his work—which he’s drawn across 10 canvases that are 28 inches high and a total of 120 feet in length—will cover the walls of the newly remodeled Wildman Room. He did. 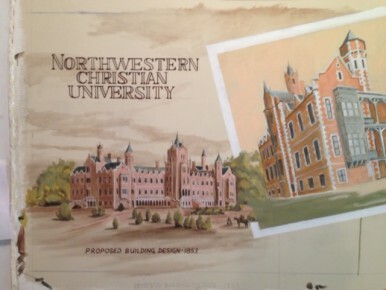 Starting with a picture of the proposed home of North Western Christian University (only a portion of which was built), Edwards’s illustrations capture the eras and the major moments. Everything is labeled, so that everyone looking at the murals will know what they’re looking at, even if they don’t know Ovid Butler from Tony Hinkle. 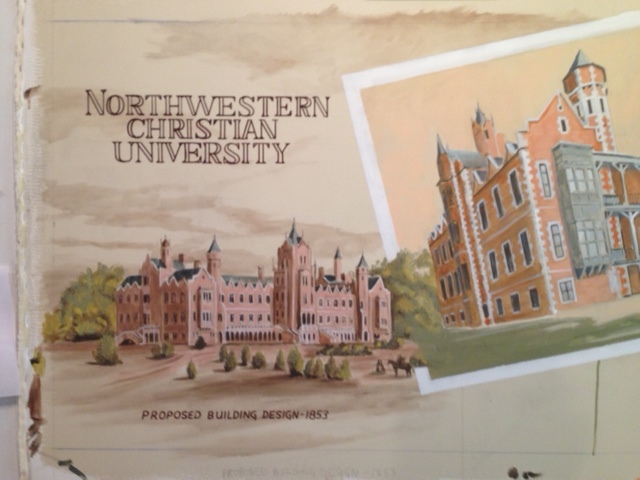 The construction of Jordan Hall and Hinkle Fieldhouse are depicted. So is Butler’s awareness of the rights of women and minorities, which is shown in a picture from 1913 featuring a black graduate. And of course basketball and football get plenty of attention. When Blice Edwards did the mural in the Johnson Boardroom in Robertson Hall, they painted directly on the walls. For the Wildman Room, the technique Edwards is using is called marouflage, which means painted on canvas and hung on the wall. When the murals are done, he and others will coat the walls in the room with wallpaper glue and unroll the canvases. The Irwin Library faculty and staff will hold an open house on Tuesday, August 26, from 2:00 to 5:30 p.m. to show off several changes in the facility this fall, including added study space, collaborative workstations, and a new catalog that allows a worldwide search for materials. Associate Dean of the Libraries Sally Neal shows Butler sophomore Michael Boyd the new Information Commons desk. Dean of the Libraries Julie Miller said the updates are part of the changing role of the academic library. Where libraries used to be largely about the circulation of books and periodicals, they are increasingly becoming a place for collaboration. -The former circulation desk area is being turned into study space. 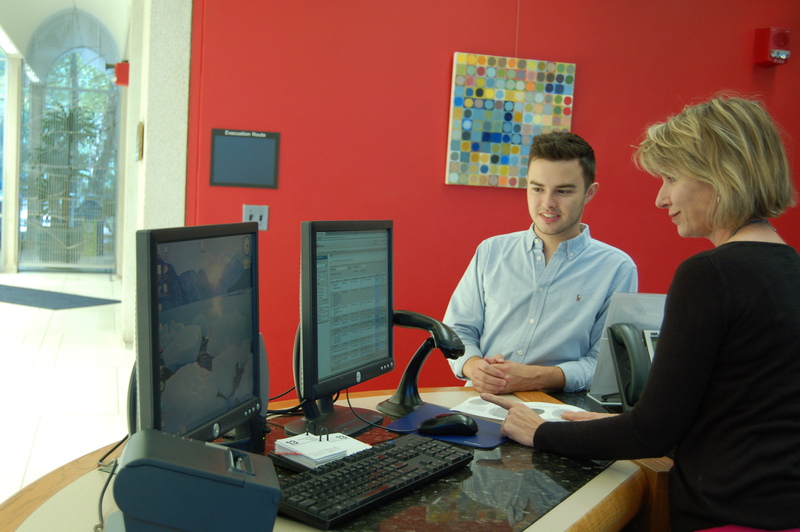 The circulation desk will be merged with the information commons desk, where students can get research assistance. The desk has moved to the northeast side of the first floor. -Several additions will be made to the computer area on the first floor, including two media workstations that have video and audio editing capability and two collaborative workstations. The latter have large, flat-panel monitors that let users attach different devices and work together on files projected on the monitor. “It’s wonderful for people who like to co-author because it gives you a nice way to look at what you’re working on together,” Miller said. -The music reference collection, previously on the first floor, has moved to the second floor, and Music Librarian Sheri Stormes has moved to Irwin Library, room 130, in the southeast quadrant of the first floor. -Laura Menard has joined the library faculty as Health Sciences Librarian serving the College of Pharmacy and Health Sciences. She will provide health sciences information literacy instruction and deliver health sciences information through the latest technologies. She will also work with the Science, Technology, and Society program in the College of Liberal Arts and Sciences and Communication Sciences and Disorders majors in the College of Communication. Clowes Memorial Hall of Butler University received the 2014 Scholastic Art & Writing Awards Gold Key for Excellence in the Field on Friday, June 6, at Carnegie Hall in New York City. The Scholastic Awards, which are presented by the Alliance for Young Artists and Writers, selected Clowes Memorial Hall for this honor for its dedication to young people, perseverance through challenges, and expansion of the program to reach 1,000 more participants than previously reached. Clowes Memorial Hall was also celebrated for going above and beyond the basic program requirements to provide additional opportunities for creative teenagers in the Central and Southern Indiana Art & Writing Region. Clowes Memorial Hall serves as the Scholastic Awards Regional Affiliate presenting the Central and Southern Indiana Region of The Awards and is one of 115 affiliates across the nation. The 56 counties in this region have increased submissions since Clowes began the partnership with the Alliance five years ago. In 2014, Clowes boasted an impressive 2,337 submissions in art and writing, thanks largely to the development and implementation of innovative outreach efforts such as publishing a 400-page anthology available on Amazon.com that features regional award-winning writing. Additionally, Clowes developed the ART.WRITE.NOW Regional Exhibition, an art and writing exhibition of selected 2013 regional award winning works. The Scholastic Art & Writing Awards was founded in 1923. Since that time, the awards have grown to become the longest-running and most prestigious recognition program for creative teens in the United States while maintaining the nation’s largest source of scholarships for young artists and writers. Past winners include such noteworthy artists as Andy Warhol, Sylvia Plath, Truman Capote, Richard Avedon, Robert Redford, Joyce Carol Oates, Stephen King, and John Updike.